Mr Meyler has recently returned from the 2018 Neurolink Masters Seminar in Munich. With the introduction of new breakthroughs and updated training the following illnesses can now be addressed with Neurolink. ​​Coeliac Disease is the most severe form of Gluten Intolerance. However, a percentage of people can have a non-coeliac gluten sensitivity. This milder form can still cause problems like nausea, indigestion, IBS, excess mucous, bloating etc. New techniques may ease these problems. Hemochromatosis is an iron disorder in which the body simply loads too much iron. Excess iron can lead to joint pain, fatigue, abdominal pain and stress to organs. The condition may now be helped by getting better brain signals to specific glands, organs and hormones. 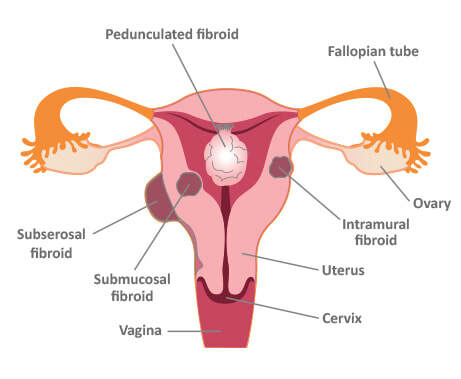 ​Fibroids are abnormal uterine muscle tissue growths. It is often natures way of protection and puts pressure on surrounding areas. If benign, NIS Neurolink can ease the pressure by improved brain signalling. Pelvic Floor Weakness is a very common problem I see in the clinic every day. Contrary to popular opinion it is not just a female problem. New updates use special tests and effective correction to reverse this imbalance. These muscles help to support your pelvis, lower back, hips, legs, groin, hamstrings, thighs, organs, glands; e.g. bladder, kidneys, bowel, uterus etc. NIS Neurolink findings show that the strength of these muscles is not the problem but rather their diminished automatic subconscious control. This commonly happens after pregnancy, childbirth, injury, falls, poor posture, post-surgery. Once the signals are re-established or reconnected then follow up exercises like Pilates or Yoga will be more beneficial. Recent major breakthrough in helping retained or reactivation of these reflexes. These reflexes surface in the womb and infancy. They act as the first step to development of more sophisticated movements. With the onset of the advanced movements Primitive Reflexes are no longer needed and become inactive. Problems arise when the Primitive Reflexes remain active beyond the first years of life or are reactivated due to trauma, injury, sickness, virus, stress during pregnancy, traumatic birth, premature birth, early stress after birth, or mental or emotional stress as a result of life’s experiences. Your brain needs to be able to see, hear, anticipate, deliberate, remember, think, create, communicate, make good decisions, and co-ordinate all at the same time; if not the body may get stressed when there may be no very obvious reason. This then becomes a subconscious habit and leads to further trouble.